WASHINGTON, DC, November 4, 2010 (ENS) – The U.S. Environmental Protection Agency (EPA) has denied a petition calling for a ban on the manufacture, use and processing of toxic lead in fishing gear. Saying that spent lead from ammunition and lost fishing tackle needlessly poisons wildlife and endangers public health, the American Bird Conservancy, the Center for Biological Diversity and a coalition of conservation, hunting and veterinary groups in August petitioned EPA to ban lead in fishing tackle and in bullets and shot for hunting under Section 21 of the Toxic Substances Control Act. On August 27, EPA denied the portion of the petition relating to lead in ammunition because the agency does not have the legal authority to regulate this type of product under the Act. EPA said in a statement today that the petitioners have not demonstrated that the requested rule is necessary to protect against an unreasonable risk of injury to health or the environment. In a letter to the petitioners today, Steve Owens, EPA’s assistant administrator for the Office of Chemical Safety and Pollution Prevention, said that the increasing number of limitations on the use of lead fishing gear on some federal and state lands, as well as various education and outreach activities, call into question whether a national ban on lead in fishing gear would be the least burdensome, adequately protective approach to address the concern, as called for under Act. “The EPA seems to have lost its will to regulate toxic substances, even in the face of overwhelming scientific information about the harm to wildlife and threats to human health,” said Michael Fry, director of conservation advocacy at the American Bird Conservancy. The petition referenced nearly 500 peer-reviewed scientific papers demonstrating the dangers of lead poisoning from fishing tackle and ammunition. More than 70 organizations in 27 states support the lead ban, including groups representing birders, hunters, zoologists, scientists, American Indians, physicians, veterinarians and public employees. 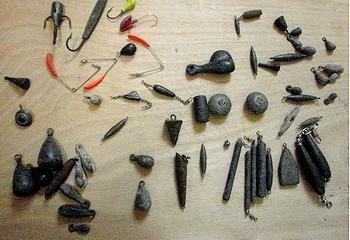 Cranes, ducks, swans, loons, geese and other waterfowl ingest lead fishing sinkers lost in lakes and rivers, mistaking them for food or grit. An estimated 10 million to 20 million birds and other animals die each year from lead poisoning in the United States, the petitioners say. Wildlife is poisoned when animals scavenge on carcasses shot and contaminated with lead-bullet fragments or pick up and eat spent lead-shot pellets or lost fishing weights. The petitioners note that animals can die a painful death from lead poisoning or suffer for years from its debilitating effects such as reduced reproduction, slow growth and neurological damage. EPA’s letter to the petitioners notes that the prevalence of non-lead alternatives in the marketplace continues to increase. Opponents of the ban such as the American Sportfishing Association point to a study by the U.S. Fish and Wildlife Service showing that less than one percent of waterfowl and other birds, including eagles, are killed by ingesting lead. They argued that a ban on lead could raise the cost of affected fishing tackle from six to 15 times, depending on metals used and cost of raw materials. The petitioners find it ironic that the EPA declared last week “National Lead Poisoning Prevention Week” to raise awareness about the dangers of lead exposure to humans. They point out that efforts to control lead in paint, gasoline and other products have reduced lead in the environment, but spent lead from hunting and fishing is still a wildlife killer.